Road accidents kill thousands of people and injure millions. But why and how do they happen? Here are some of the most common causes of road accidents. Tires screeching, airbags exploding, smoke billowing from the car. Your heart is pounding, your head is throbbing, adrenaline is pulsing through your body. Worldwide, 3,287 people die every single day in vehicle accidents. Another 20-50 million people a year are injured or disabled. Count yourself lucky. If you have the consciousness to observe and question everything going on around you, you’re better off than those 3,000 people that died today in a similar situation. Car accidents are traumatic. They leave a mark on us, mentally and physically. However, the most common road accidents are avoidable, especially if you know what to watch out for. Read on for our top 10 causes of road accidents. DUIs are very serious offenses. In most states, there’s a three-strike rule. Your first two DUIs are misdemeanors but your third is a felony. Sadly, people who drive while under the influence underestimate how intoxicated they are and overestimate their ability to drive. Unfortunately, driving impaired isn’t just a risk for the driver. The driver risks the lives of his passengers and everyone else on the road. 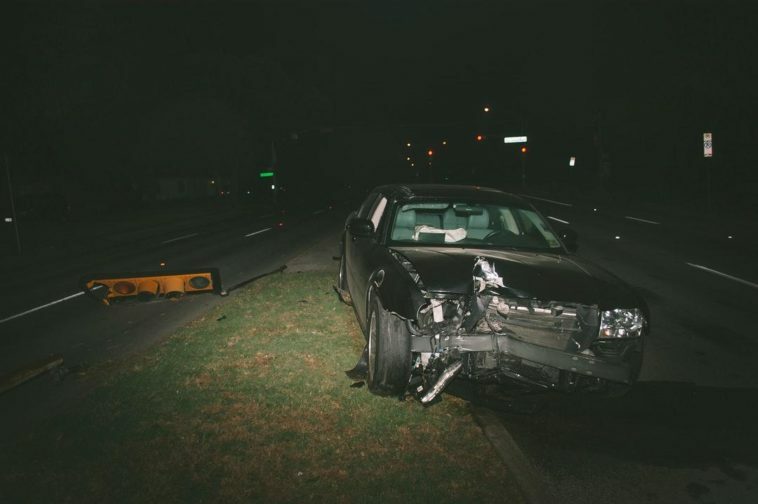 A single DUI accident can destroy multiple lives. Whether at fault or just a victim of a DUI, lawyers can serve as a major asset to have on your side. For example, these professionals can help you recover financially and legally from auto accidents. Drugs have various effects on a driver’s ability to properly operate a vehicle. Marijuana, for example, slows reaction time, impairs the ability to accurately assess time and distance and decreases coordination. On the other hand, drugs like meth and cocaine can make drivers overly-aggressive, negligent, and daring. 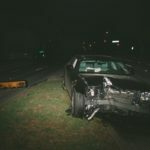 Finally, prescription pain pills and other abused medicines can cause uncontrollable sleepiness, leading to drivers falling asleep at the wheel. Although drugged driving is bad, alcohol is about the worst substance to be intoxicated with while driving. Every effect alcohol has on the body makes for poor driving abilities. Alcohol slows reaction time, impairs the judgment of time, speed, decision making, and vision, and significantly reduces coordination. Sadly, due to impaired judgment and decision making, many drunk drivers really believe everything will be okay if they drive. Unfortunately, however, someone dies in the U.S. in alcohol-related road accidents every 50 minutes. With the invention of the smartphone came a whole new reason to be distracted while driving. Most people can hardly stay off their phone for more than 5 minutes. Unfortunately, this includes while they’re driving. Talking on the phone isn’t nearly as dangerous as texting while driving. You don’t need to be looking at your phone to talk into it, so you’re eyes are on the road more. However, not using a hands-free device can impair your ability to react appropriately to road hazards. Additionally, depending on the nature of the phone call, it can also be wildly distracting. It can also affect the nature of your driving. Having a heated argument with someone on the phone while driving can make you drive more aggressively and recklessly. Alternatively, simply having a really in-depth, enjoyable conversation can cause you to lose track of speed limits or road signs. Texting while driving is now six times more likely to cause a wreck than drunk driving. One in four road accidents in the U.S. is caused by texting and driving. At any given time, over 600,000 people are texting and driving. Not all drivers can or want to drink. However, nearly all drivers have cell phones and many of them use them while driving. While it’s not as common as texting, many smartphone users check their personal accounts while driving. 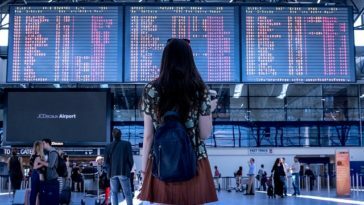 The problem is, society has become so plugged in and connected that we constantly need to be updated. Unfortunately, this applies to some people while they’re driving. Although it only takes a second or two, changing our music while driving can be very distracting. Whether on your phone or console, changing the music can be dangerous, especially if you are super particular about what you listen to. Driving recklessly can be defined as many things. However, it is most commonly defined as a wanton disregard for the rules of the road. Sometimes it’s purposeful, sometimes it’s accidental. Running red lights is a frequent act of reckless driving, often causing road accidents. The cause of running red lights can vary from driving under the influence, distracted driving, or attempting to beat the light change. Running stop signs is another major cause of road accidents at intersections. Distracted driving, intoxication, or blatant disregard are possible reasons for this act of reckless driving. Drivers who fail to signal when changing lanes take other drivers off-guard. Additionally, rapid lane changing in and out of traffic is also very dangerous. Drivers are required to yield while merging into traffic, at yield signs, at an uncontrolled intersection, and roundabouts. However, failure to do so often results in road accidents. Road rage is a major cause of reckless driving. Road rage is caused when a driver is cut off, flipped off, or the car in front of them is going too slow for their taste. Once the road rage switch is flipped, drivers will use excessive speed and begin to drive incredibly aggressively. Some road accidents are caused simply by drivers following too closely to the car in front of them. Tailgating doesn’t allow the required time to stop for the given speed limit to avoid hitting the leading car. Everyone speeds a little. Most people go 5-10 mph over the speed limit. However, there are those who speed excessively. These people significantly increase the probability of road accidents. The problem with speeding excessively is how it affects other drivers. It spooks other drivers and they may act unpredictably trying to get out of the speeder’s way. Excessive speeding also affects the stopping distance required. Therefore, a speeding driver won’t be able to stop in time in the event of an accident, animal on the road, or sudden light change. Granted, distracted driving could encompass many of the causes of road accidents. However, this is more of a miscellaneous group. Having a bunch of friends in the car is a huge distraction, especially if they’re loud and have been drinking. This is an especially big risk for new, young drivers. Arguing with your spouse or significant other is largely distracting. Not only do you begin to drive with emotion, but you also lose focus on the road. Many drivers eat and drink while driving. While many people can do it efficiently enough, all it takes is a dropped pickle out of a sandwich or a spilled drink to take your attention off the road. Surprisingly, many women who push their time put makeup on in the car while driving to work. This takes your eyes off the road and occupies your hands. It’s incredibly dangerous. Too many drivers underestimate weather conditions. Weather is a major cause of road accidents, but usually due to driver error. Rain reduces friction and traction on the road, increasing stop times and ability to swerve and turn. Additionally, with enough water, cars can hydroplane and lose contact with the pavement entirely. Ice and snow obviously make the roads slick. Unfortunately, many drivers are overconfident in these conditions, especially when driving trucks and SUVs. Tires have a large role to play in your car’s ability in the snow and ice. Fog reduces visibility. Driving in fog can be incredibly dangerous. It’s best to adjust speed for conditions of fog and drive with your lights on. However, don’t use the brights or it will reflect extra light back into your eyes. Carelessness at intersections is another leading cause of road accidents, accounting for roughly 2.5 million a year. Uncontrolled intersections can be scary, even in parts of the suburb because people get into the habit of cruising through them. Unfortunately, two people with the same mentality will eventually wreck into one another. 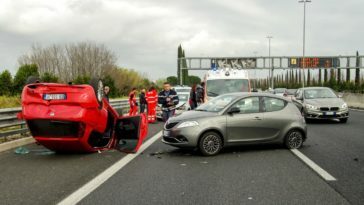 Some road accidents are the result of a cascade collision. Cascade collisions occur when one accident causes several more. They are often referred to as “pile-up” wrecks. These are very common with poor weather conditions impairing visibility and ability to stop. Depending on where you live, you may have a risk of animals on the road. It’s not uncommon for deer and other wildlife to be the cause of road accidents. However, dogs, cats, and other domestic animals have been known to jump out in front of cars as well. The best thing to do is to stay alert and pay attention to the sides of the road as well. Unfortunately, as Americans, we tend to work too much and sleep too little. Long drives home, especially in the dark, can lead to falling asleep at the wheel. Generally, this only affects the driver. However, sometimes the stars align just right for other drivers to be affected as well. In these scenarios, the consequences can be very severe. Drive like Your Life Depends on It, Because It Does! 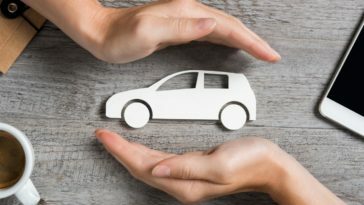 Your life and the life of those around you on the road quite literally depend on your ability to handle your car. Don’t be foolish or selfish. You have a lot of responsibility in getting behind the wheel. However, you can’t control those around you. Therefore, be as safe as possible and keep your eyes open! For more articles on driving, check out our most recent articles!